Why should you hire a professional to refresh your property’s colours? Every now and then we get the urge to repaint our living room or bedroom. But doing so on your own will take you lots of time and effort that you could easily spend elsewhere. Instead, let Fantastic Handyman get on the case and handle everything for you. We will send qualified decorators who will gladly help you rekindle the long faded colours of your home or office walls with bold new hues. How to arrange your painting survey? 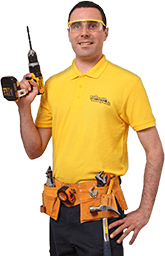 Contact our friendly representatives via phone, chat or book you painting survey online. Provide us with details what have to be painted so we can give you a preliminary quote for the service. Arrange your survey for the most appropriate time and our specialists will consult you for all the jobs that have to be compleated, the materials and the time frame. Within 3-5 working days, we will contact you with the final quote for the job. During the survey, our painter will advise you on the most appropriate paint type so we can deliver the right amount on the day of the appointment. If you already have the paint, we can help you get the job done right the first time. What can you expect from our home painting? Door frames painting & skirting board painting. Home painting and decorating is definitely not something which you will see featured in an “easiest jobs ever” list. And sure, you can try to complete the project yourself, but be warned – mistakes do tend to get costly, especially if they involve painting interior walls in the wrong colour. 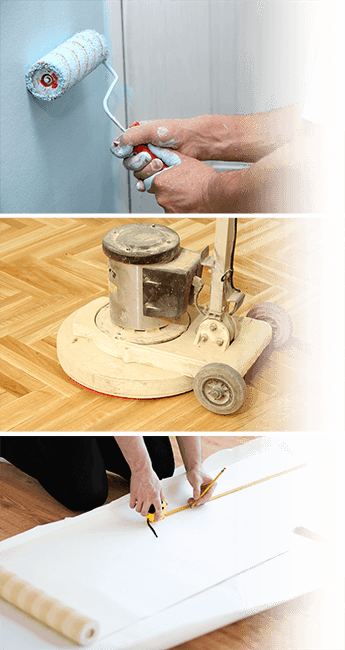 The polite and precise house painters in London have worked on many painting-decorating projects in the past and will gladly offer you professional guidance and deliver the reliable results you expect. At Fantastic Handyman, we always think about our customers first. Every specialist at this painting company in London will always use their paint brushes in accordance with the client's needs and artistic vision. Whether it's painting bedroom walls or wall painting a living room, the pros will always keep a watchful eye for even the smallest of defects and will ensure that the end result brings you satisfaction. There is nothing worse than cleaning blue paint stains off yellow walls. To save you the trouble, every painter will carry several rolls of protective sheets, which will be neatly laid over your floors and furniture. When painting a living room or carrying out a bedroom wall painting project, the pros will use their delicate brushes and trusty paint buckets to skilfully paint your room in refreshing new hues. The London painters will bring their own paint brushes, ladders, and everything else needed to paint even the highest office or home walls with style. Once the specialists enter your property, they will keep the commotion to a minimum, leaving your daily routine completely undisturbed. And, in case your wall is only half way painted, but you already ran out of paint, the helpful experts can supply you with an extra bucket of paint or any other materials you need. We will then provide you with a detailed price quote, which will conveniently list all work and materials that went into your service. The process behind hiring your commercial painters London services is simple. You can contact us via our real-time chat or by using our online, user-friendly booking form. Alternatively, just dial 020 3404 4045 and describe your wall painting project with as much detail as possible. Our helpful advisers will then gladly assist you in hiring your qualified painters and picking the right service for your commercial or domestic needs. You can also download our user-friendly GoFantastic mobile app (Download on the App Store) – an online platform where you can access, manage, or book 25+ home services.